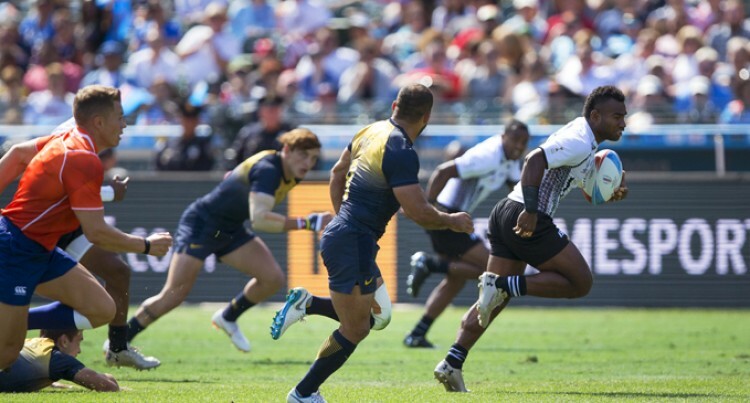 Fiji Airways Fijian 7s team looked at aspects of their game that they could improve on before facing defending champions New Zealand in today’s Rugby World Cup Sevens semifinal at the AT&T Park in San Francisco. Head coach Gareth Baber told Fiji Sun yesterday that despite the big 43-7 win over Argentina in the quarterfinal, he still needed to review the game and work on things that they could do before the semi-final. “There’s no big deal on who we play as we’ve played them competitively before,” Baber said. Kalione Nasoko, Paula Dranisinukula and Josua Tuisova as they led 19-0 at halftime. In the second half Fiji ran in tries to Amenoni Nasilasila (2), Leone Nakarawa and Alasio Naduva. the Kiwis struck back in the second half through co-captain Kurt Baker’s try, which he successfully converted to level the scores 7-all. New Zealand co-captain Tim Mikkelson said they had talked about winning back-to-back titles. “We want this team to create its own history and legacy,” he said. The team won the 2013 Cup, beating England 33-0 in the final, but this tournament is a knockout competition from the first game. The other semifinal sees top seed South Africa taking on England. The Blitzboks walloped Scotland 36-5 while England’s Phil Burgess scored at sudden death to beat USA 24-19.